Just as I am heading off to Global Pet Expo, I'm also all chills at the upcoming first Doga video, produced for the readers of All Things Dog Blog. Being a novice at Yoga, I've tried each pose with Oliver and Tanner at my side, and have totally enjoyed the silliness that we have engaged in. 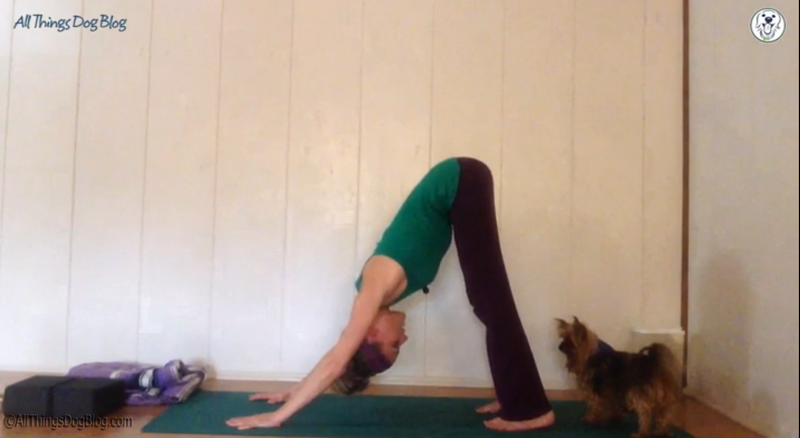 There's a lot to laugh at when I'm doing Yoga and what a terrific way to bond with your dog. We all hope to see you Saturday for our introduction to Jess and Nikki B. In the coming months I'll be bringing you a continuing flow of new product news from my expedition to Global Pet Expo, as well as reviews and giveaways, while making sure you have a fun way to connect with your dog at the #WeeklyWag Doga practices on Saturdays. To join us all week, every week, your best bet is to subscribe. Click here to make it quick and painless. Don't forget to click the activation link in the email you'll receive in a few minutes. That's very important to grease the gears.